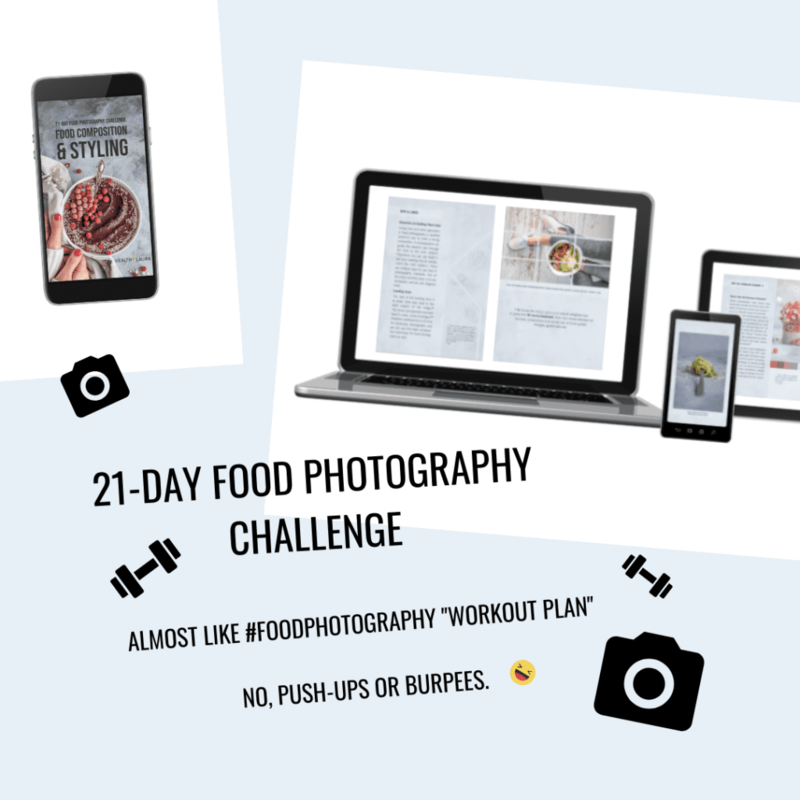 – 21- DAY #FOODPHOTOGRAPHY “WORKOUT PLAN” TO LEARN DIFFERENT COMPOSITION TECHNIQUES + CREATE YOUR OWN UNIQUE STYLE. 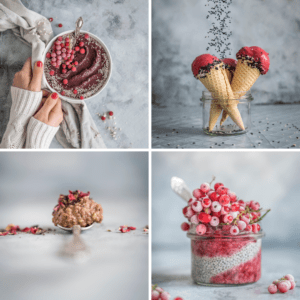 ARE YOU UP FOR A food composition & styling CHALLENGE? The main guide of the 21-day challenge is more than just an introduction. 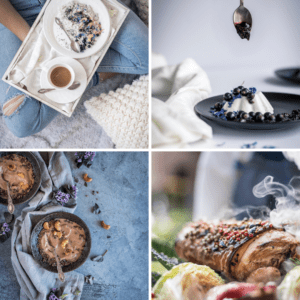 This is a more in-depth look into all the research behind food composition & styling. Firstly, you'll learn about the basic styling & composition rules. Secondly, you'll have an in-depth understanding of how to use different techniques. 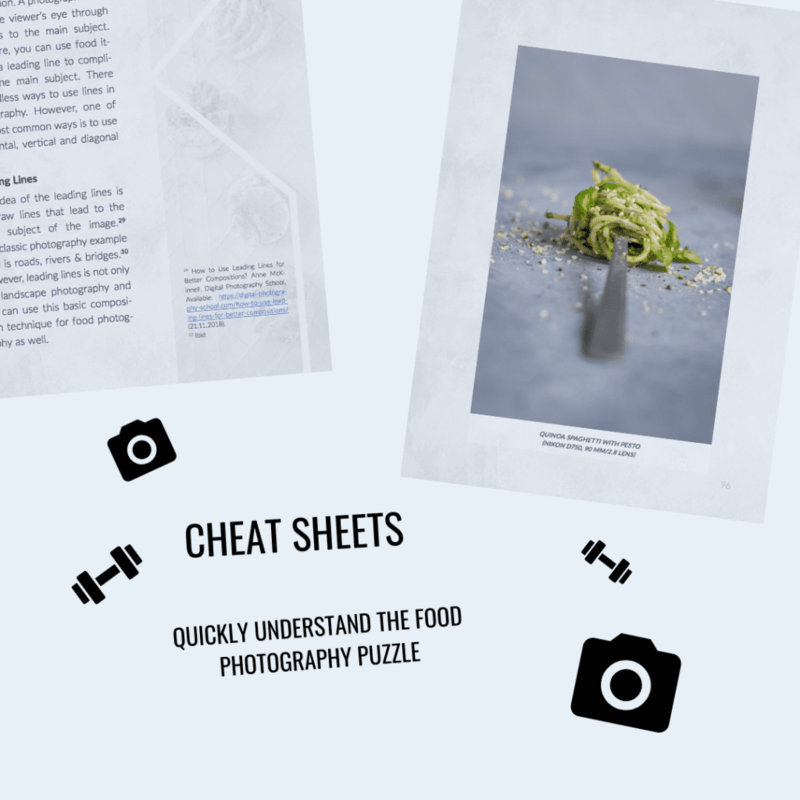 Get ready to see the results with this food photography ebook. Instead of reading about photography, you're about to get your hands on your camera and start practicing. You'll discover 21 practical challenges that help you see the progress. 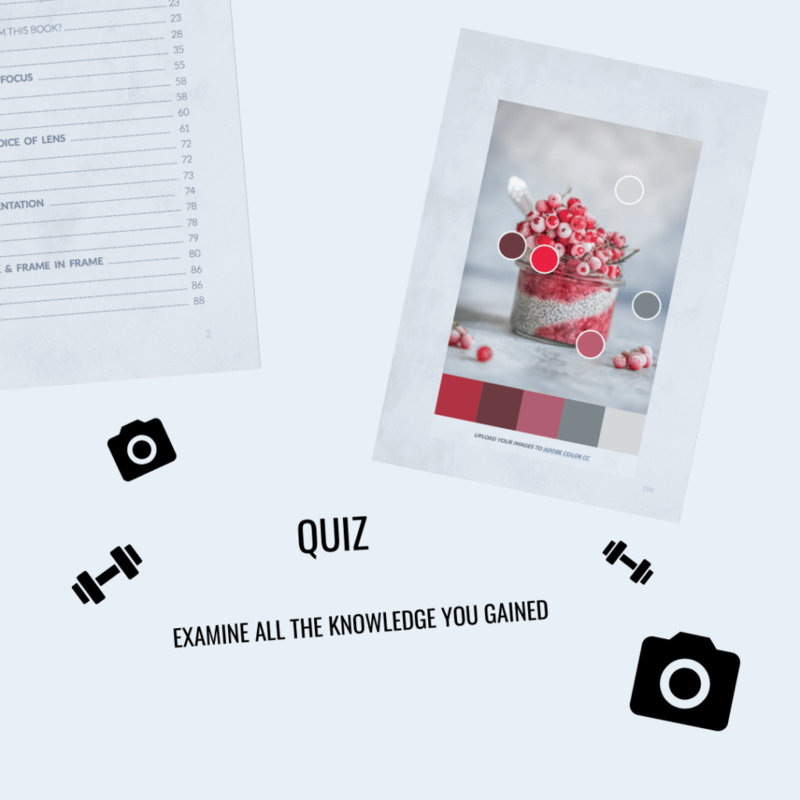 Get excited to test yourself daily with the food photography quiz. Instead of learning the theory, you're about to examine all the knowledge you gained. You'll discover 21 practical tests that help you understand the basics. 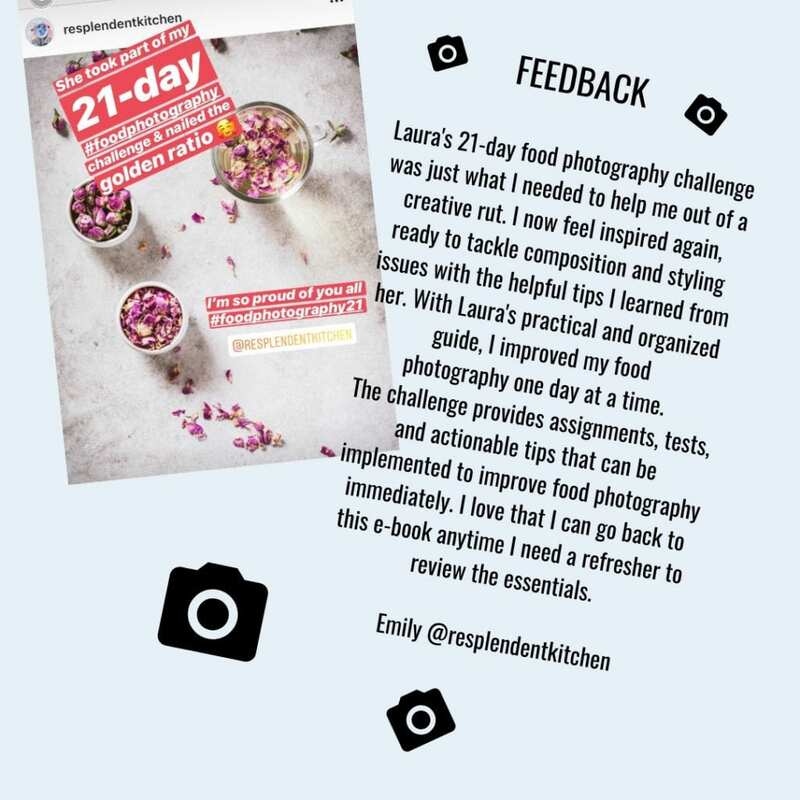 When I was writing the book, I was thinking of all the food bloggers and cooks that kept asking me for more food photography tips. 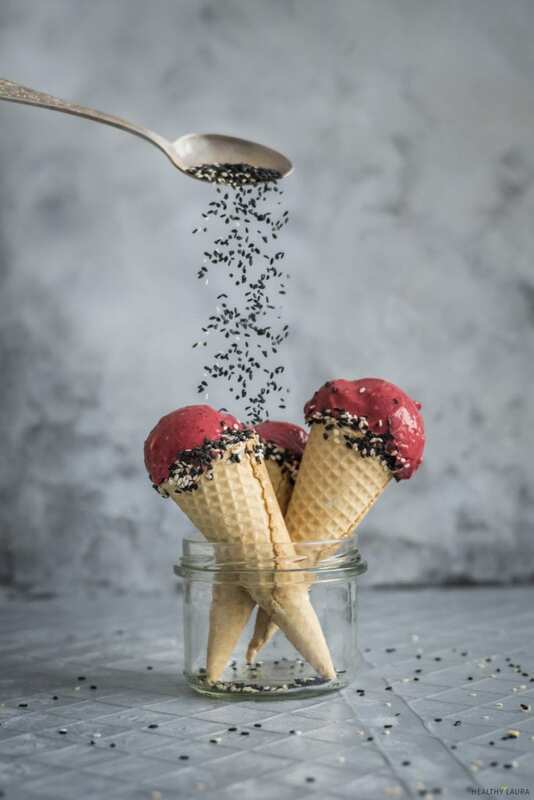 However, any chef or photographer can use these techniques. 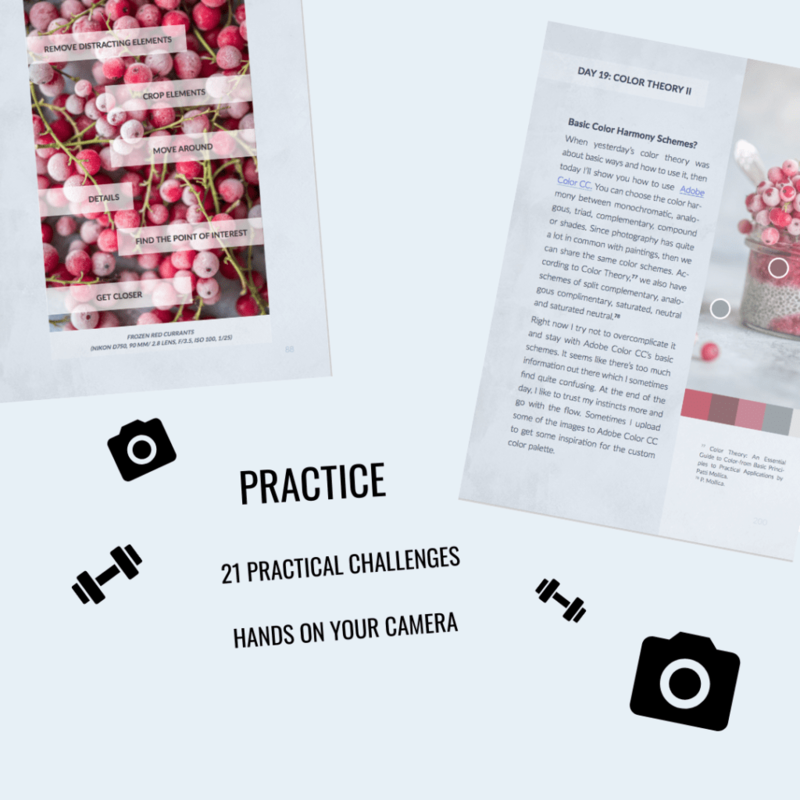 The 21-day challenge means that the ebook is divided into 21 practical challenges. 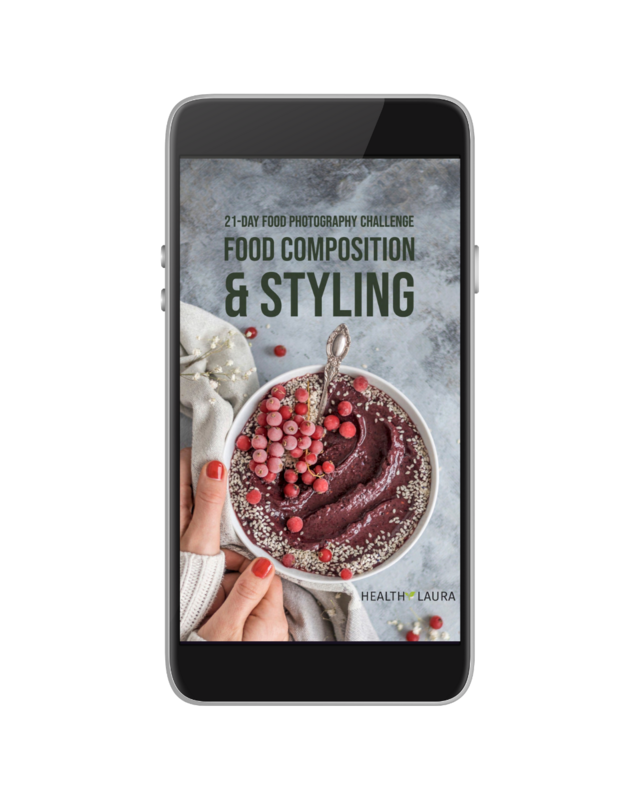 Every day I will introduce you a new food composition or styling technique, so you have a chance to practice it yourself by doing "tests" and "exams". 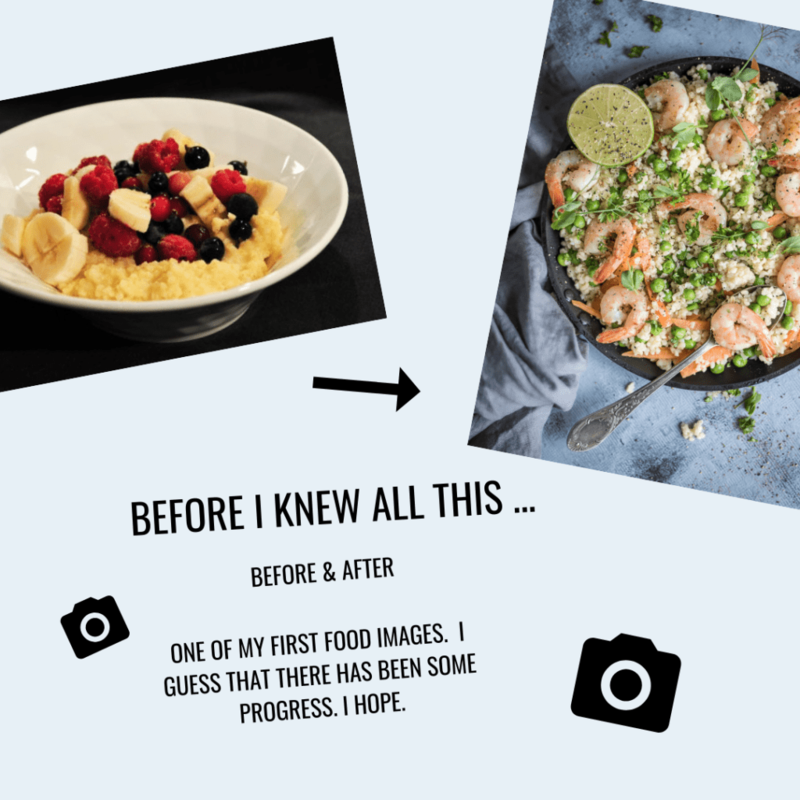 It’s almost like a food photography "workout plan"! No, it doesn’t mean we are going to do burpees and push-ups. However, you still might need to climb on the tables. We can count it as an exercise after eating all that food, right?! I analyze many graphic images where I show my thought process behind each image in detail. 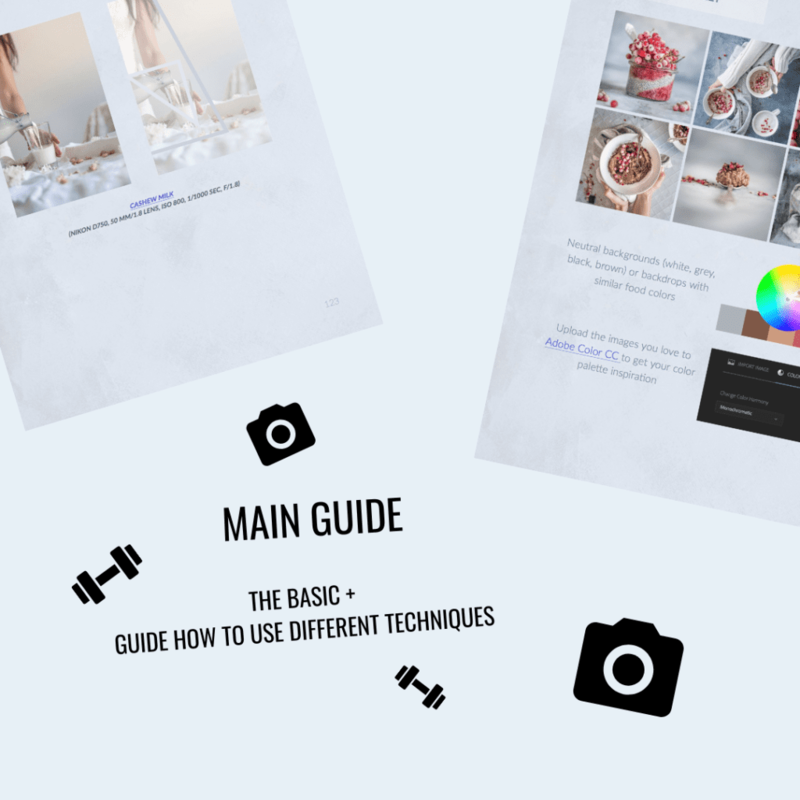 I will show you how to do the storytelling & analyze different composition (such as triangle, diagonals, the rule of thirds, the rule of odds, negaTIVE space, golden ratio, golden triangle) and styling topics (such as layers, texture, color theory, props, backdrops) etc. As a lawyer, I couldn’t write an ebook where I explain what I think. I researched each topic to put this program together. 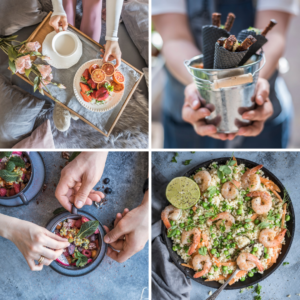 If you are not sure if food photography is for you, then you can use whatever camera you have. However, to take part in all the challenges, I assume that you have a DSLR or mirrorless camera. Nevertheless, a phone camera also works for most of the challenges and the best camera is always the one you have. 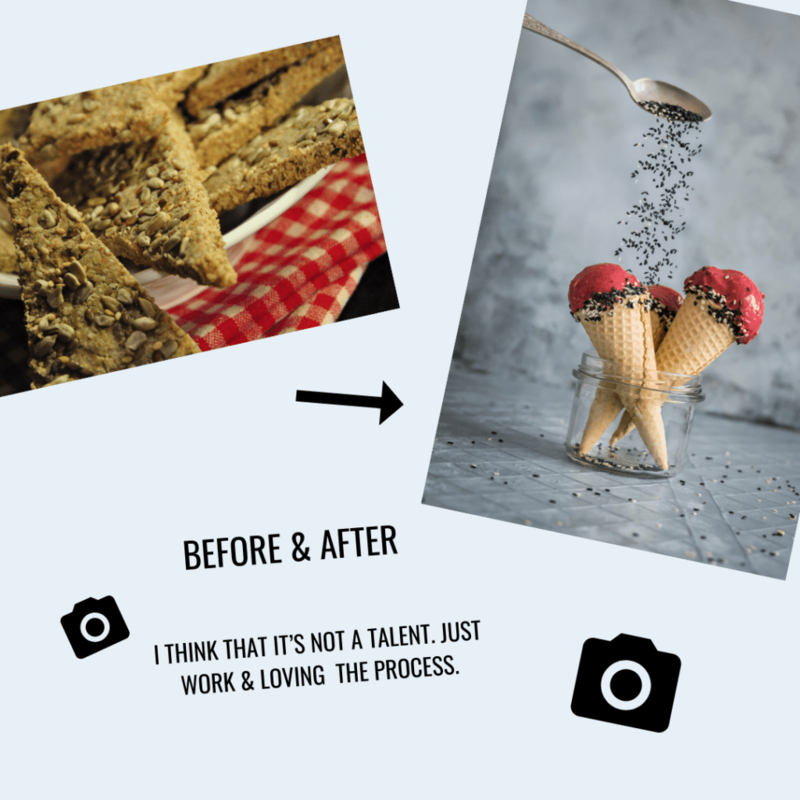 Who is behind this #foodphotography “workout plan”? A simple girl usually covered with almond flour. 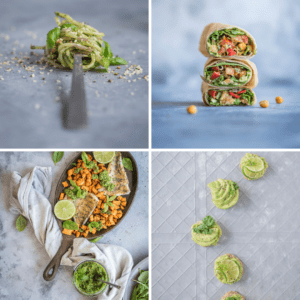 SINCE I WORK AS A FOOD PHOTOGRAPHER, THEN READERS KEPT ASKING FOR MY FOOD PHOTOGRAPHY course or ebook. AS A RESULT, i put my heart and soul into this 21-day program. 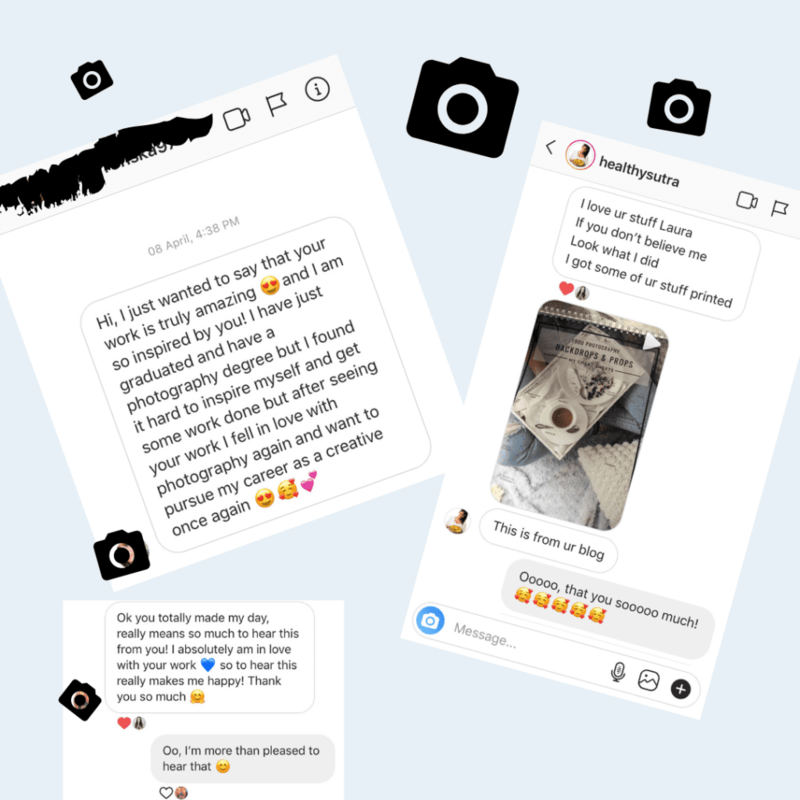 I want to make sure you’re happy with your purchase! I convinced that you can learn your craft and get the results you crave. 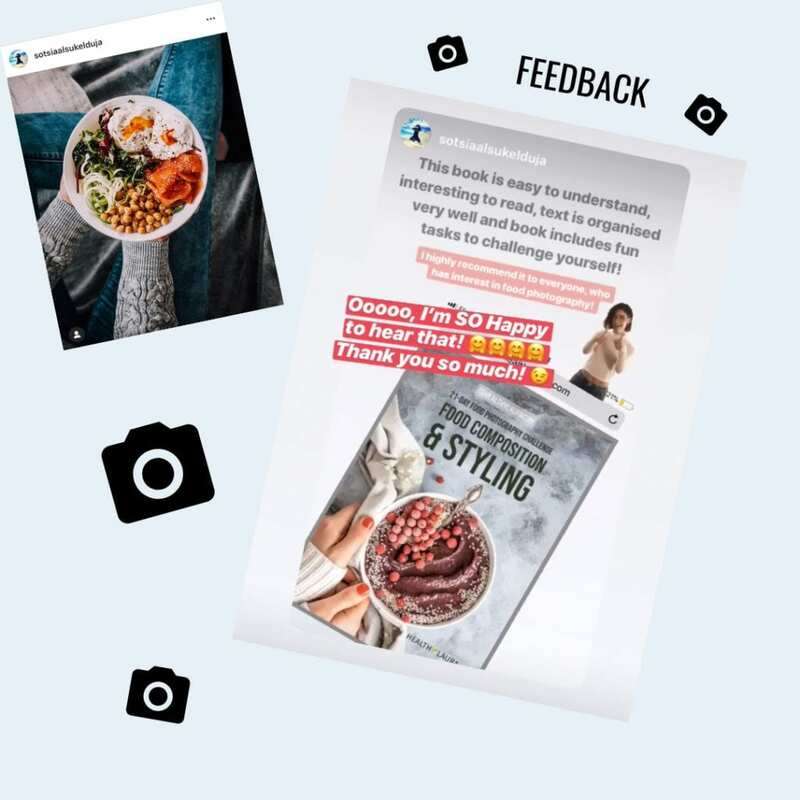 If you read through the entire book, implement the tips and techniques and don’t see results in your light, just request a refund in the first 14 days of purchase. You can pay through Paypal payment system that provides security. If you have any trouble using it, then make sure you check the slides that explain the process. 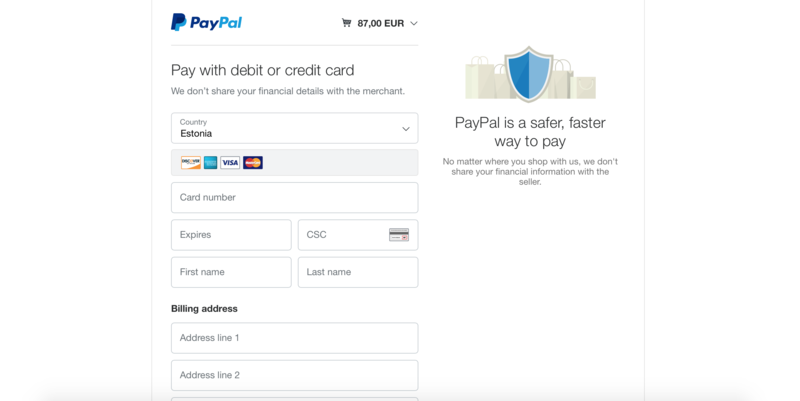 It accepts PayPal payments, Mastercard, Visa and American Express cards. 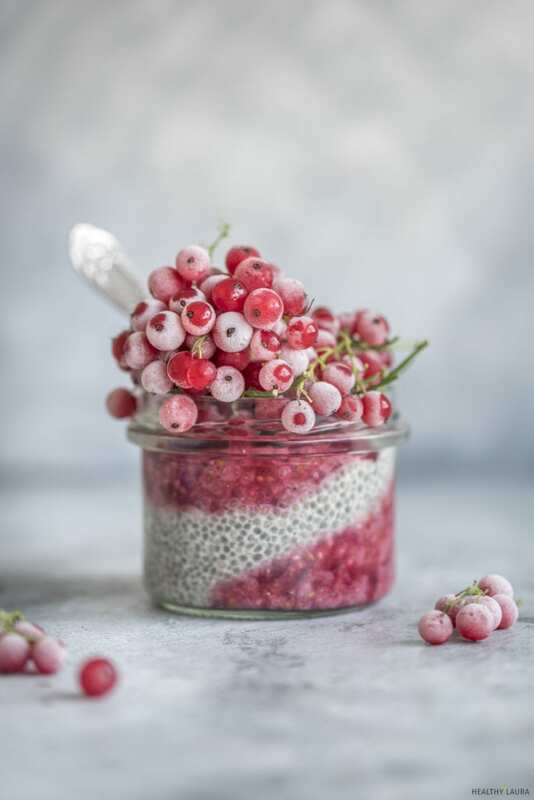 Copyright www.healthylaura.com 2019 – All written content and photographs are Laura Kuklase originals, unless otherwise indicated. All rights reserved. Laura Media Ltd. Terms of service & privacy police.